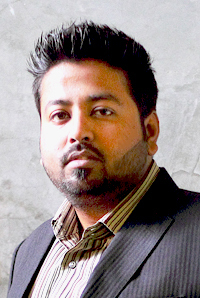 Mohammad Ali Qureshi has almost a decade long career in advertising. At SEED his potential is reflected in the skilfully designed promos and other media-related projects. He is now handling the complete design requirements for SEED and its associated companies. His expertise in his related field and immense creative talent reflects in his work. Ali has outstanding skills in Photoshop, 3D Studio Max, and Adobe Illustrator. He has continually delivered creative solutions to clients and provided invaluable services to the organisation.